In Ayurveda, Shallaki has been used for thousands of years to promote joint health. 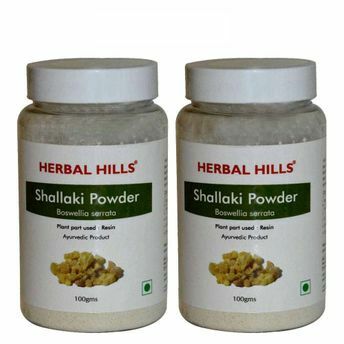 Herbal Hills Shallaki powder is considered to have analgesic and antiinflammatory properties. It may help fortify all the systems of the body. It also supports healthy urinary and respiratory system. It may be useful in disorders caused by Kapha Pitta.